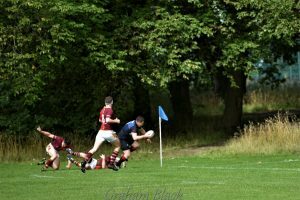 Linlithgow travelled to Niddrie in Edinburgh in the first round of the Tennents Edinburgh Shield to play Edinburgh University Medics, a completely unknown quantity. 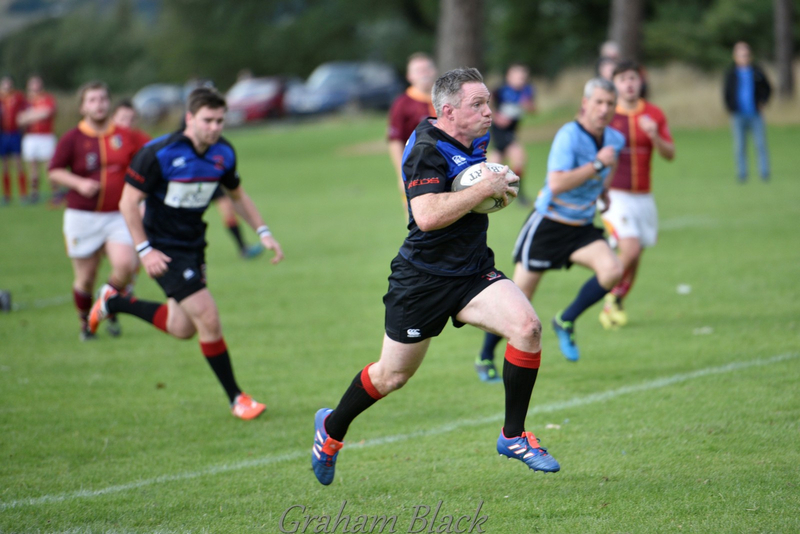 The Reds still had a number of key players missing and the team featured a good number of last season’s 2nd XV squad. After a slow start, where Linlithgow were unable to clear their lines, the Reds came more into the game. Good hands from all the back line enabled Rab Cairns to go over on the corner for the first try, Cairns himself kicking the difficult conversion. Soon after, Cairns was provider as he slipped the ball to Ross Plenderleith who also scored in the corner, Cairns converting another difficult kick. 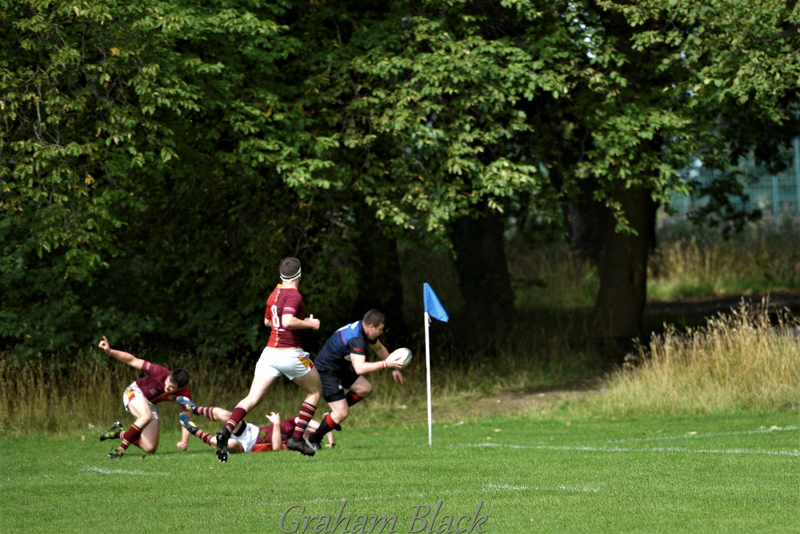 Linlithgow were in now full flow now and Rab Cairns scored a breakaway try under the posts, which he duly converted. Linlithgow put further pressure on the home defence and Mark Caddle capitalised on a defensive mistake behind the goal line to increase the lead, the conversion being missed, to give Linlithgow a 26-0 lead. Winger Ross Plenderleith, one of the Reds’ most dangerous runners was then injured and was replaced by Euan Murray. The Reds were guilty of taking their foot off the gas in the final 5 minutes of the first half, letting in 2 late scores (one converted) from the home side to make the half time score 26-12. The second half started badly for the Reds and got worse. The Medics scored under the posts and converted which brought them to within one score. The Reds’ outstanding forward Mark Caddle then came off injured and the home team began to get on top in the game. It was only a matter of time before the Medics scored a further converted try to tie the match at 26 all. Further injuries to the Reds, losing Andrew Archer and another player, weakened the visitors and the home team should have taken the lead when they missed a very kickable penalty. Sadly, for the Reds now playing with their bench emptied, it only put off the inevitable, as the home team scored a try in the corner 2 minutes from time to claim the tie. While the Reds will be disappointed at how they let a 26-0 lead slip, full credit must go to the EU Medics for taking advantage of the Reds’ weaknesses and playing some good rugby to stage a comeback. Injuries and non-availabilities certainly took their toll on the Reds squad and poor tackling and player ill-discipline towards the enbd certainly didn’t help their cause. The Reds will be looking to bounce back this coming Saturday, when they kick off their Tennents East 1 league campaign with an away trip to local rivals Livingston, in a match which kicks off the home team’s 50th anniversary season. It will be a special day for Livingston who will host new SRU President Dee Bradbury and the Calcutta Cup. 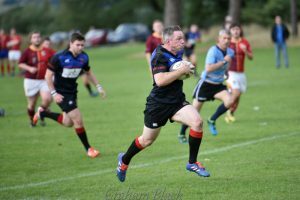 Rab Cairns; Ross Plenderleith, Aidan Rennison, Mark Green, James Timlin; Chris Ronalson, Peter Miller; Ally Mclean, Lachlan McColl, Hasan Ilter; Duncan McClymont, Neil Lockhart; Andrew Archer, Mark Caddle, Cammy Dori-Muir. Subs : Calum McKeown, Adam Scott, Euan Murray and Robbie Thomson.